The Dominion of Canada had not come into existence in 1865 when the brave and resolute pioneers, who settled the Castleton area in the early part of the 19th century, found the countryside raw and untouched, lonely, stern and grudging at times, but also richly rewarding for its freedoms and opportunities. The Castleton Church was built in 1865 by the Wesleyan Methodists, and it has continued to serve the community’s spiritual needs for 152 years. It is designated under the Ontario Heritage Act. prayer, for praise and for the education of their children. 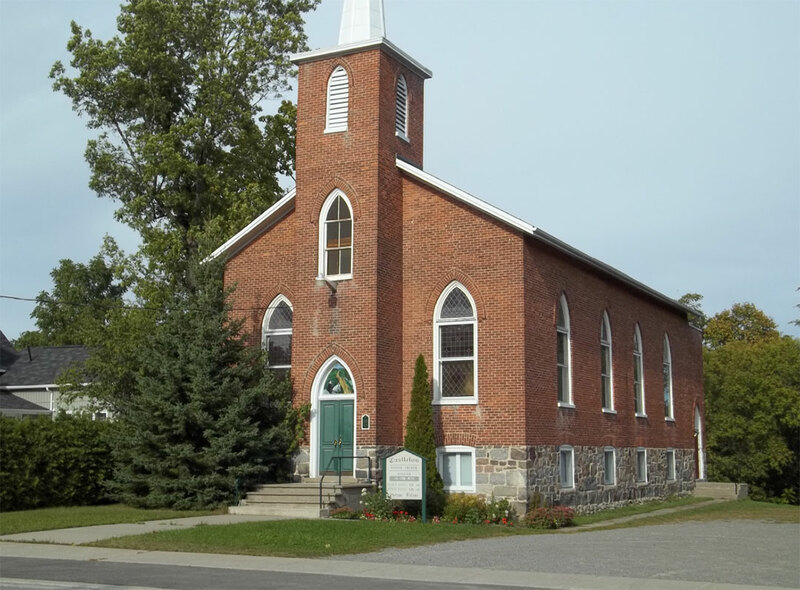 According to the Missionary reports of the Methodist Church, the Castleton assembly came into existence quite suddenly as a fully fledged congregation of the Colborne Circuit. Since congregations are automatically branches of the Missionary Society as soon as they are established, we may be reasonably certain that the list of Missionary Society members for the year 1853, contains the names of some of the founding fathers. These early workers probably carried on cottage meetings before they turned to the thought of building. They appear to have been approximately 12 years in preparation. In November 1863, the deed for the property was issued, and the Church was ready for the Dedication Service in December 1865.